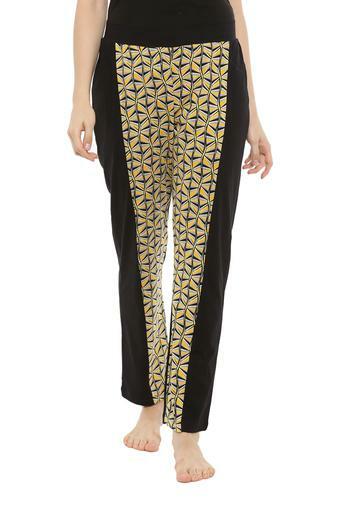 Make a fine addition to your apparel collection with this pair of track pants presented to you by Mystere Paris. Crafted from a superior quality fabric, it is not only comfortable to wear but also quite easy to maintain. Besides, it features a print pattern that renders it stylish. 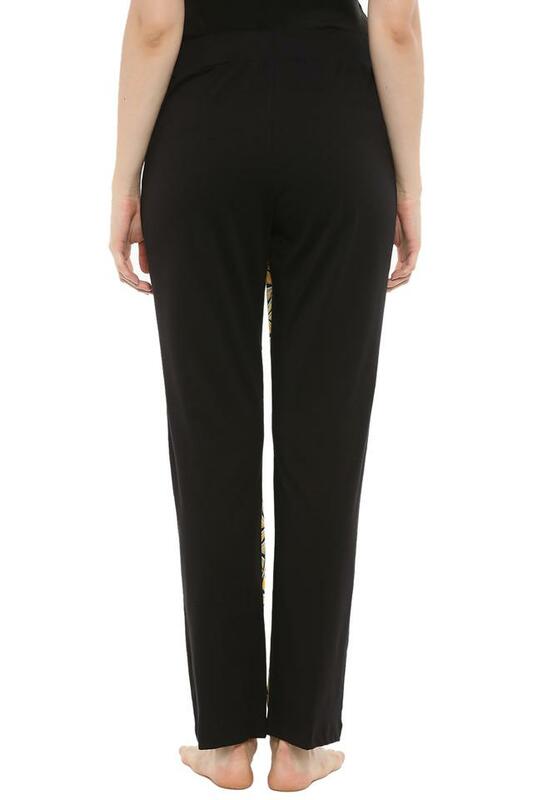 Tailored to perfection, this pair of track pants will be an ideal pick for you to wear while you relax at home. You can team it with a top and a pair of slippers to complete your look.